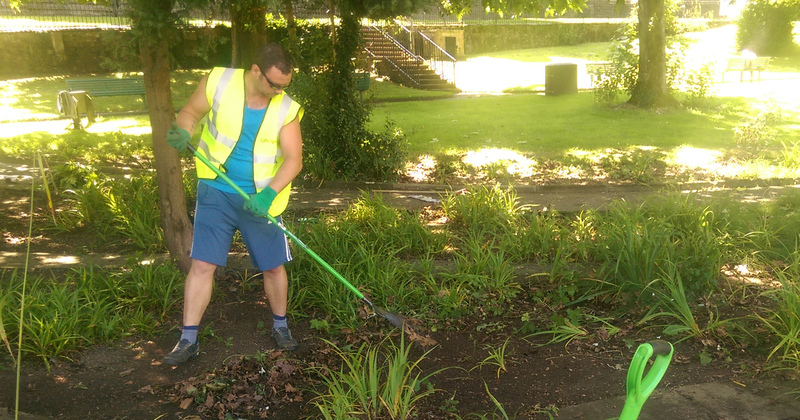 VOLUNTEERS WITH experience of substance misuse and mental health issues are celebrating their recoveries by helping to make Bangor more beautiful this summer. 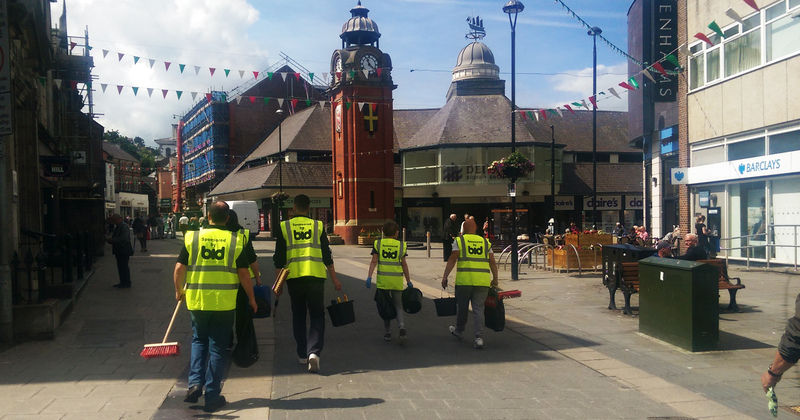 The team, from the EU-funded Cyfle Cymru project, have cleaned graffiti and unwanted posters from vacant shops in the High Street and begun to clear the city centre’s landmark Bible Gardens of leaves, litter and weeds. Backed by Bangor Business Improvement District and Bangor City Council, the group plan to undertake a wider programme of volunteering events – including tackling erosion on Bangor Mountain, work on the upkeep of Bangor Pier, and more hard graft in the area around Bangor Cathedral. Peer mentors from Cyfle Cymru help people affected by substance misuse and mental health conditions develop confidence, and provide support to access training, qualifications and work experience. The scheme also offers opportunities to volunteer in the community, and real-life work experience – as well as dedicated help to search and apply for jobs. 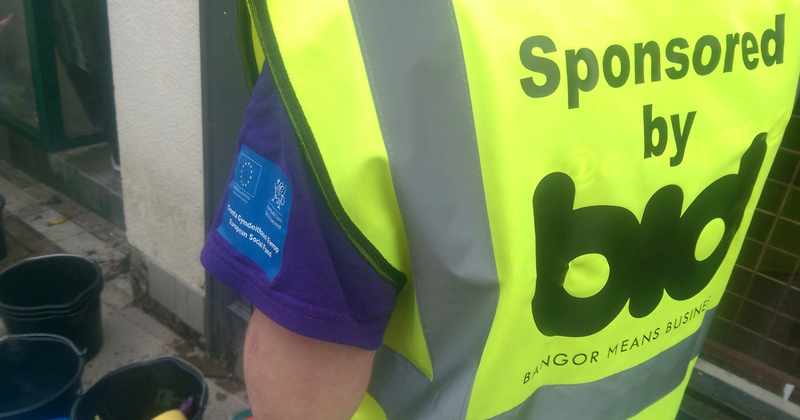 Employment advisor Beverley Jones said the activities in Bangor city centre were helping volunteers to unlock their potential. “Cyfle Cymru’s peer mentors help people to make real strides forward in their lives,” she said. “And volunteering events like these are really beneficial for the people we work with, especially those who have suffered mental health issues in the past. Bangor City Council’s Emlyn Williams said the body had been pleased to provide tools needed by the volunteers. “This is a wonderful example of the community working together to help people who need support to overcome their past and look to the future with new confidence,” he said.